Higher performance, greater productivity. The goals for which every truck operator strives. 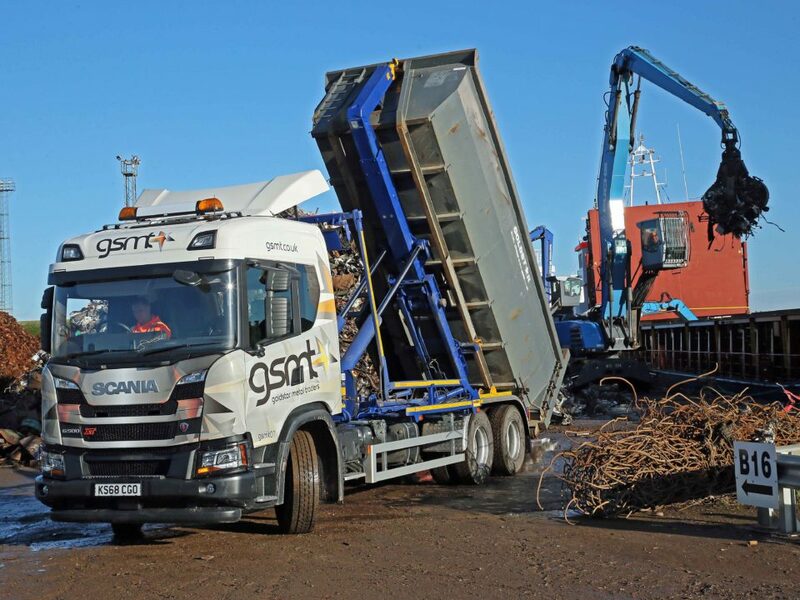 And East Anglia – based Goldstar Metal Traders Ltd has achieved exactly those aims with its latest truck, a particularly high specification HARSH 6×4 hookloader. 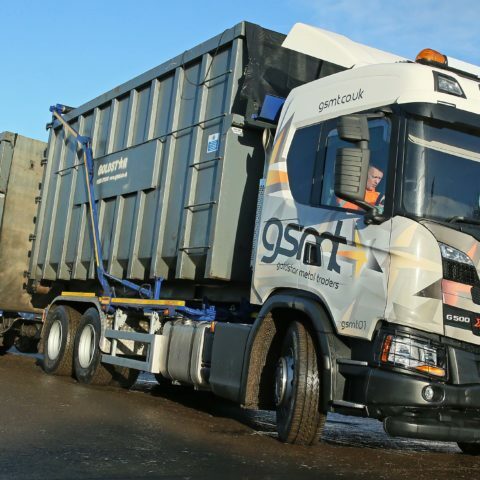 Configured to operate on and off – road as a high performance six axle drawbar combination at the maximum 44t gross weight, Goldstar opted for the HARSH HH26 hookloader system for the key reason that this unit offers a full 26 tonnes lift capacity. This higher than usual specification gives the truck a valuable additional capability, namely the ability to work even harder in off – road environments. 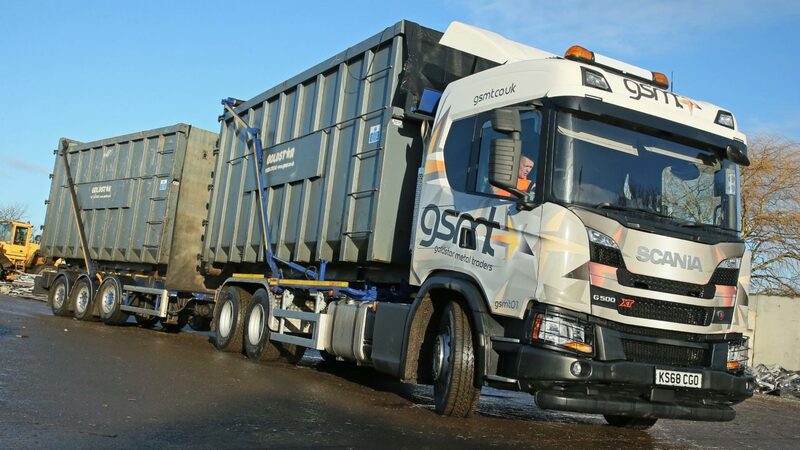 Andy Willy, Goldstar’s Transport Manager puts it like this “The HARSH HH26 offers a lift capacity three tonnes higher than other hookloader models, thereby giving us an extra margin of performance, reliability and safety. We expect this extra strength and inherent durability will pay us real dividends in the long term. 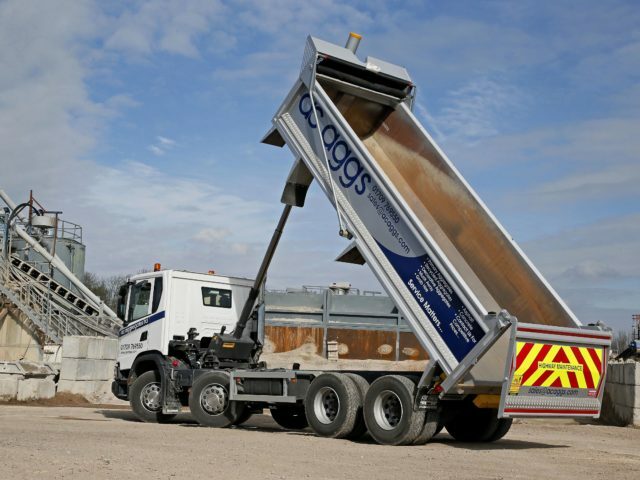 Whilst the truck has on – board weighing equipment to ensure that it always stays fully road legal, it can also be used pretty much as a heavy duty dump truck in off – road applications such as demolition, site and dock work. Our vehicles work exceptionally hard, handling up to a dozen containers a day with the prime mover having to load and unload containers from the trailer as well. 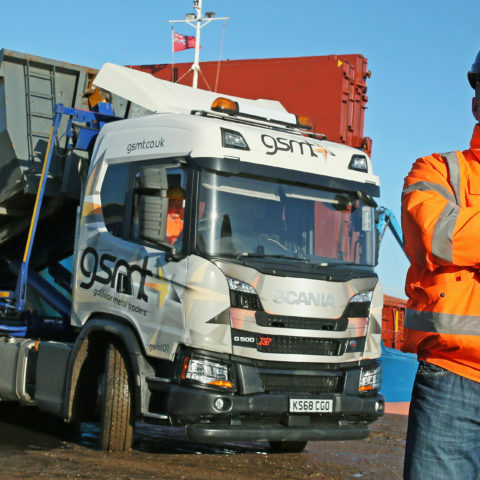 Every part of our truck specification is focused on providing the highest possible levels of performance and productivity. In similar vein, Goldstar’s choice of chassis to carry the HARSH HH26 is a 6×4 sleeper cabbed Scania XT, its 500hp engine providing more than enough on-road performance to keep truck and trailer nicely up to speed in all road conditions. 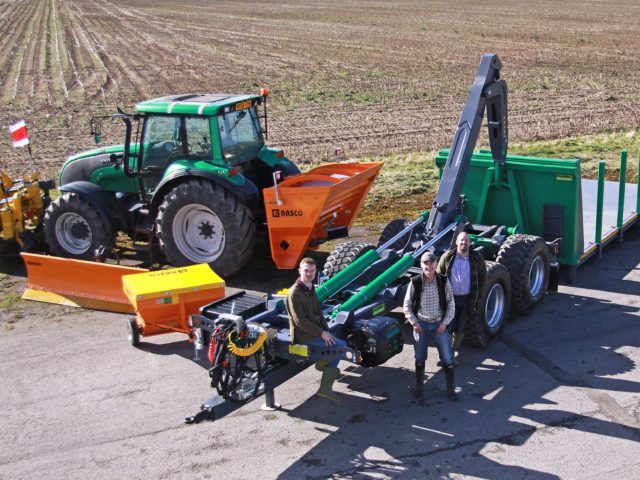 The new hookloader is not the first HARSH product to join the Goldstar fleet. 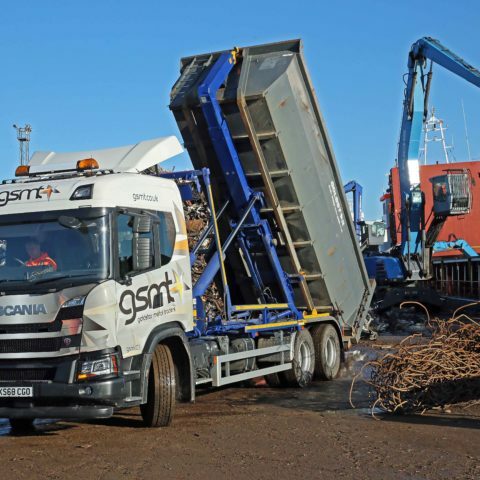 Last summer, the company also opted for another 44 tonnes drawbar outfit, this time a 6×2 chassis with lifting rear axle fitted with HARSH skiploader bodywork. 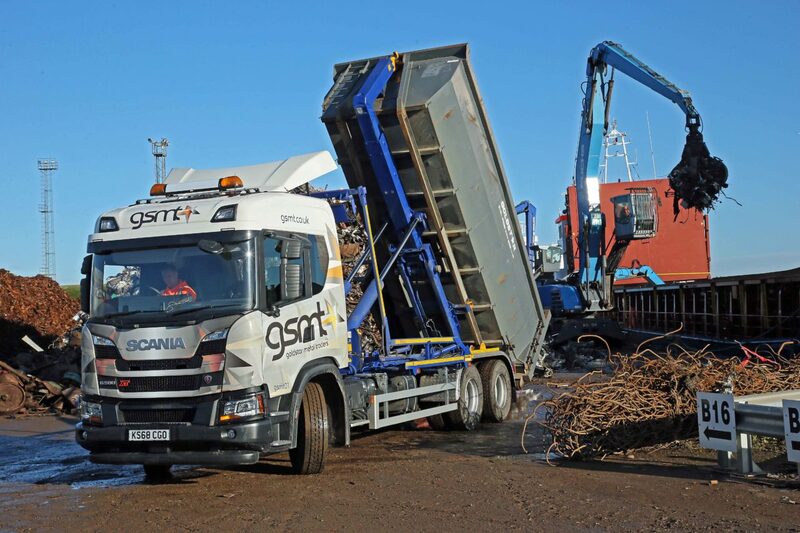 When working with its trailer this truck can carry up to six skips in one go, a massive productivity boost over conventional truck – only skiploaders. 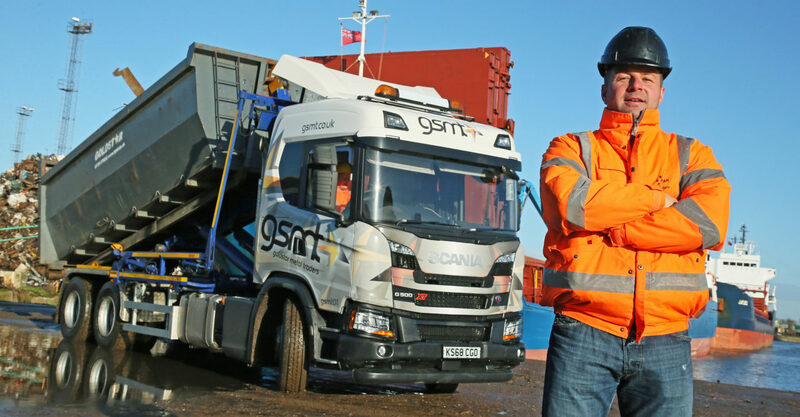 Based in March, Cambridgeshire, rapidly growing Goldstar Metal Traders is now processing over 13,000 tonnes of scrap metal per month, with the majority being shipped to the EU from Goldstar’s site on Kings Lynn docks. The latest Scania / HARSH hookloader is also one of the first vehicles to feature Goldstar’s latest livery, launched at the end of last year as part of a complete rebranding exercise for the company.